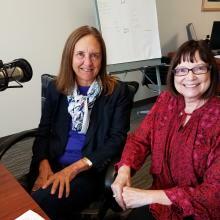 RAILS Executive Director Deirdre Brennan talks with Kim Caviness, Chief Content Officer of Chicago marketing firm Imagination about content marketing and how it is relevant to libraries, that print still has a place in our digital world, and our collaboration on the Dreams Take Flight video. 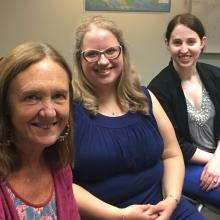 RAILS Executive Director Deirdre Brennan talks with Amanda Civitello and Katie McLain from Waukegan Public Library about sexual and other kinds of harassment in libraries, how library staff can handle harassment, and how administration can create a safe environment for employees. Slides and handouts for their American Library Association conference talk "It's Not 'Just Part of the Job'" are also available for those interested in learning more. 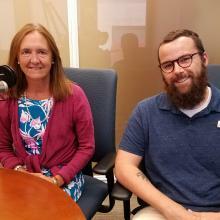 RAILS Executive Director Deirdre Brennan talks with Justin Williams, Adult Services Librarian at Westmont Public Library, about the library's Makery (Library of Things) and how other libraries can start a similar collection. 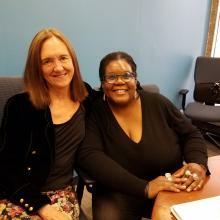 RAILS Executive Director Deirdre Brennan talks with Veronda Pitchford, former director of Membership Development and Resource Sharing at RAILS. They discuss projects Veronda had been part of during her five years at RAILS, including her challenges, successes, and wishes, with special attention to the growth of e-resources. RAILS Executive Director Deirdre Brennan talks with Lynn Stainbrook, Executive Director at Rockford Public Library, about the library's building project, including its unusual origins; envisioning sessions held with different community groups, including teenagers; and her advice for others going through a building project.